Mohanas (fishermen) have lived along Manchar Lake for generations. Their mud houses with dirt floors and cracking walls suggest that they have not done well over all this time. 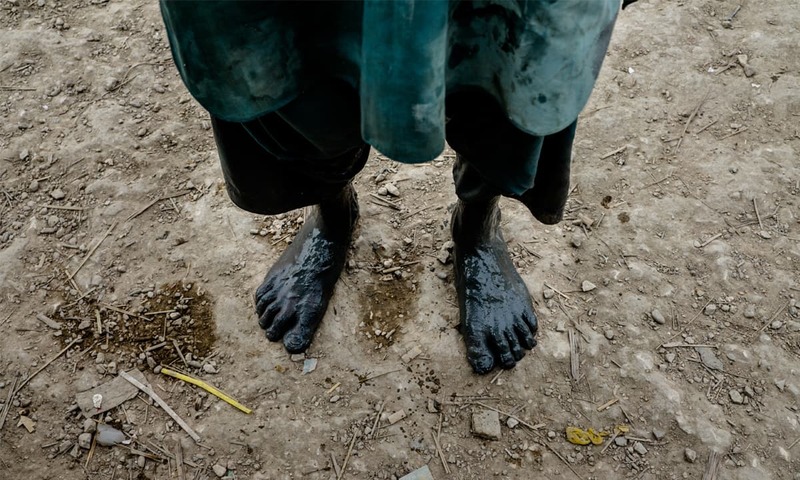 Their small villages, dotted along the lake’s banks, do not know such luxuries as toilets and tap water. Sewage meanders through them and garbage is dumped everywhere. Male Mohanas leave their homes at 4 am to fish in the lake. They come back at 5 pm. All they get for a 13-hour work day is a few hundred rupees each, paid strictly in accordance with the amount of fish they have caught. No fish, no money. They work for contractors who have purchased fishing leases from the government. Mohanas give all their catch to the contractors who auction some of it at local markets and send the rest to Karachi. A source in Sehwan confirms this drastic decrease in the catch. 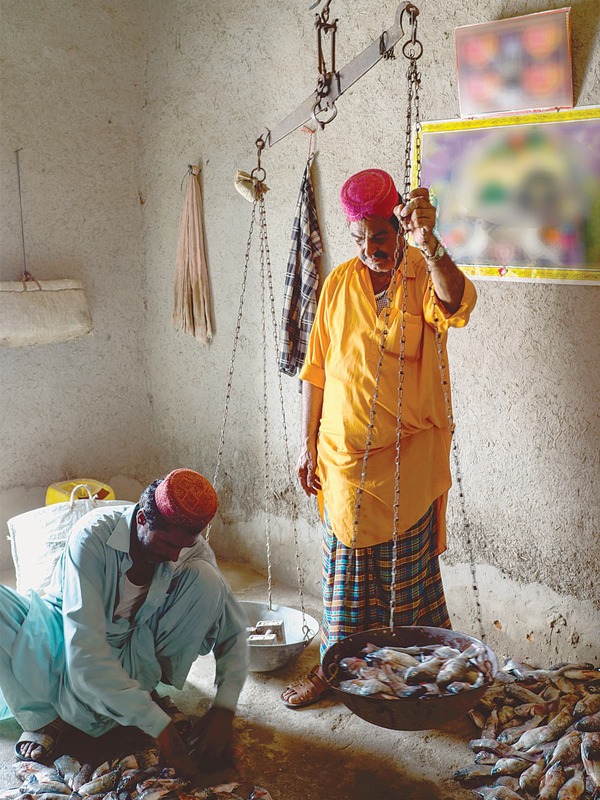 Only 200 kilogrammes of fish caught from Manchar Lake is making it to Karachi these days, he says. 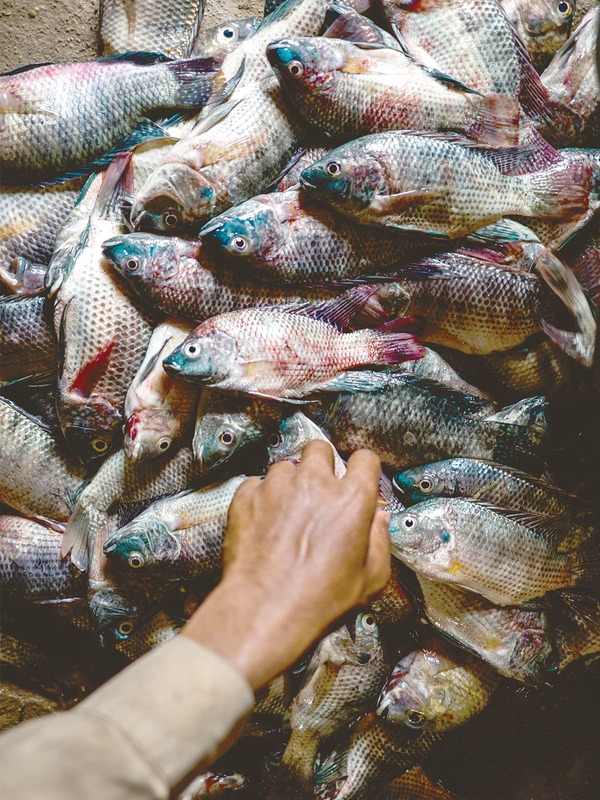 And the variety of fish has also dwindled alarmingly — from as many as 200 type of fish in the 1980s to just one: Pomfret. 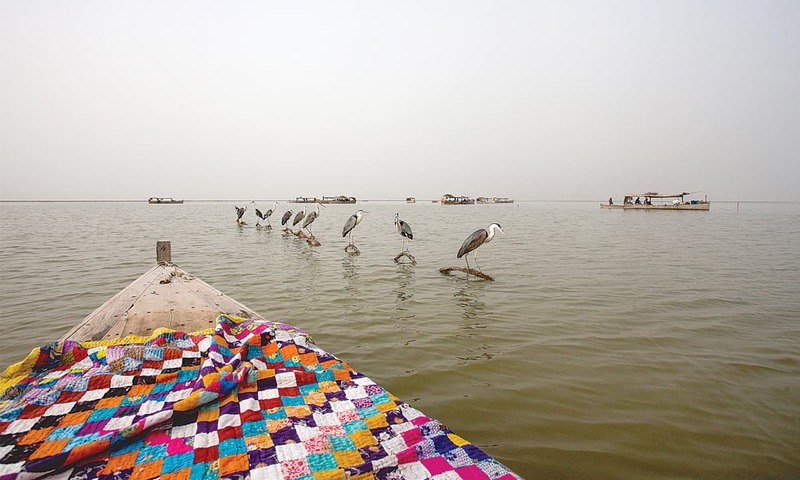 Manchar Lake is stretched over a tract of land that starts a few kilometres west of Sehwan – where the famous 12th century Sufi saint Lal Shahbaz Qalandar is buried – and extends in the northwest to reach the foot of the Kirthar mountain range. 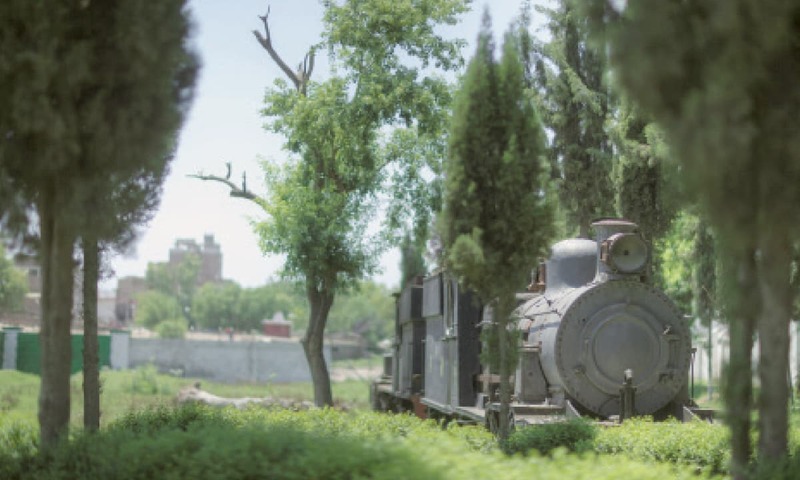 It was once Asia’s largest shallow fresh water reservoir, recharged by streams running down from Kirthar as well as by natural drains that link it with the Indus river in the east. The amount of water flowing into the lake from the former source is heavily dependent on rain. Next to no rain over the last few years in the Kirthar mountains has reduced the lake to only 60 square kilometres – just one fourth of what it would be if it was all full of water. Low river flows for most months of the year have meant that the Indus, too, does not have enough water to recharge the lake. The shortage of river water flowing into the lake has also had a negative impact on the growth of fish. Local Mohanas talk nostalgically about 1976, the year a heavy flood in the Indus brought in so many fish of so many varieties that nobody complained of a low catch for the next 20 years or so. Some fishing contractors became so rich then that they would literally burn cash. According to a popular local legend, their favourite way to celebrate an event such as a wedding was to stuff a wad of currency notes at the end of a gun’s barrel and then shoot the gun so money was sent flying in the air. Goth Haji Khair Din Mallah, a village where Shahnawaz lives with many other Mohanas, is located around 35 kilometres to the west of Sehwan. A fish market and some shops selling groceries, medicine and other daily use items are situated close to it. The place where most Mohanas enter the lake is also close by. Marked by a cement pillar used as a water gauge and a few flights of stairs to climb down from the bank into the lake, it has clear signs that a lot of water once flowed here. Today, the pillar stands amid dry land and the stairs descend into a shallow water course wide enough for a small canoe to move through it. 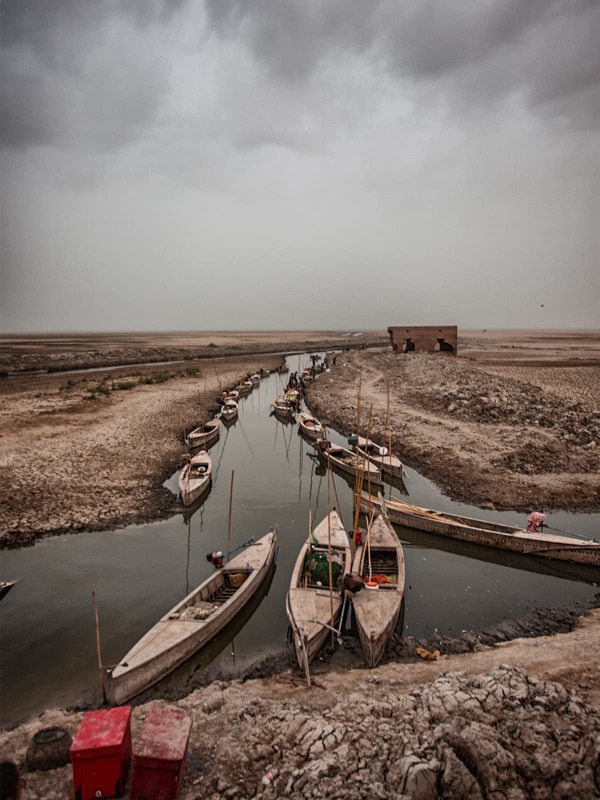 A vast patch of cracked brown mud, criss-crossed by narrow channels of heavily polluted water, stretches to the southeast from this entry point as far as one can see. Until a few weeks ago, the channels were so narrow and shallow that Mohanas could not use them to row even their small canoes to the shore. They had to wade through slush for many kilometres before they could reach the canoes in the mornings, coming back the same way in the evenings along with their catch. This changed only a few weeks ago when Sindh Chief Minister Murad Ali Shah had those channels dredged in the wake of the July 25 general elections. An abandoned construction site is visible further west from the village. Called Zero Point and reachable by a bridge built over a drain, it was damaged badly in the 2010 floods. Various machines and tools are rusting in humid air. These are remnants of a government project called the Right Bank Outfall Drain (RBOD). One of the main objectives of the project was to carry saline water from Sindh’s canal-irrigated northwestern areas all the way to the sea in the south. It was also meant to absorb hill torrents from Kirthar and recharge Manchar Lake and other natural water reservoirs in the area with non-saline water. The first phase of the project was meant to link a pumping station in Miro Khan town of Qambar Shahdad Kot district – roughly 185 kilometres to the north of Manchar Lake – with Sehwan. Its construction started in July 1994 and was originally scheduled to be completed at the end of June 1998. That deadline was never met. The phase remains incomplete even today, with the latest revised date for its completion being November 30, 2019. Its cost, in the meanwhile, has escalated from 4.395 billion rupees to 17.505 billion rupees. The 273-kilometre long second phase of the project was to start in Sehwan and end up at the sea. Work on it has been stalled for many years due to differences between the federal and Sindh governments over its financing. Since RBOD’s first phase is still incomplete and the second one has not even started, the project has resulted in an unregulated flow of saline water – contaminated with salts and chemicals dangerous for aquatic, vegetative and even human life – into Manchar Lake. Those dependent on the lake for their livelihood have filed court petitions, organised protest rallies, involved non-governmental organisations in their efforts and submitted appeals to politicians and government officials. These efforts have yielded little results beyond a few news items in the media, some research papers by academics and environmentalists and a report by an inquiry commission set up by the Supreme Court of Pakistan that last year urged the provincial government of Sindh to address the problem immediately. As a follow up to the commission’s recommendations, Chief Justice Saqib Nisar came to visit the lake late June this year. 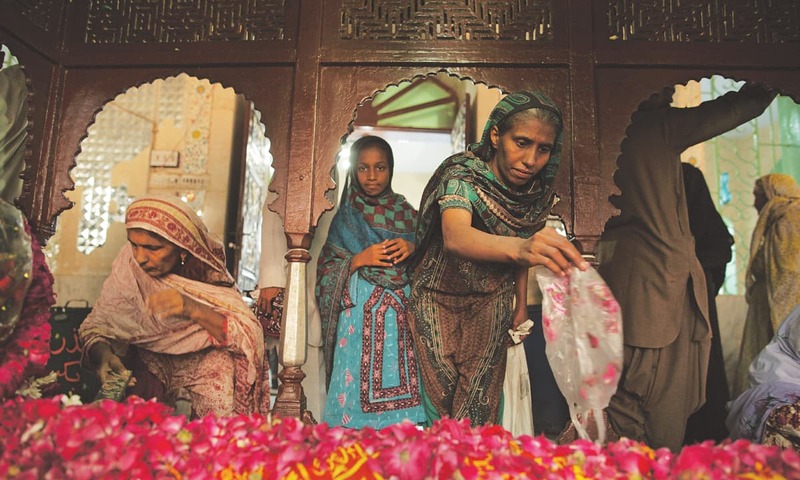 People lined up near Goth Haji Khair Din Mallah in the blistering heat to see him, with the expectation that he would listen to their grievances and address them urgently. He could not stop for long though. He made a quick round of the lake’s shore and went off to attend a dinner with lawyers in Larkana. A canoe takes around 15 minutes from Goth Haji Khair Din Mallah to reach a few dozen boathouses deep in the middle of Manchar Lake. These belong to members of the Shaikh caste — a well-off community that possesses fishing leases. Made of solid wood with intricate floral patterns carved in planks that mark its perimeter, each boathouse costs as much as two million rupees. It is a complete residential unit, with multiple compartments for various purposes. One corner is used as a kitchen, another area is reserved for children to play and a third part is meant to store clothes and other valuables. There are no rooms and doors in the boathouses though. Everyone sleeps in the open. Life on a boathouse is not much different from what it is in nearby villages. Boys go to schools in Sehwan. Girls usually stay at home to help their mothers in domestic chores. 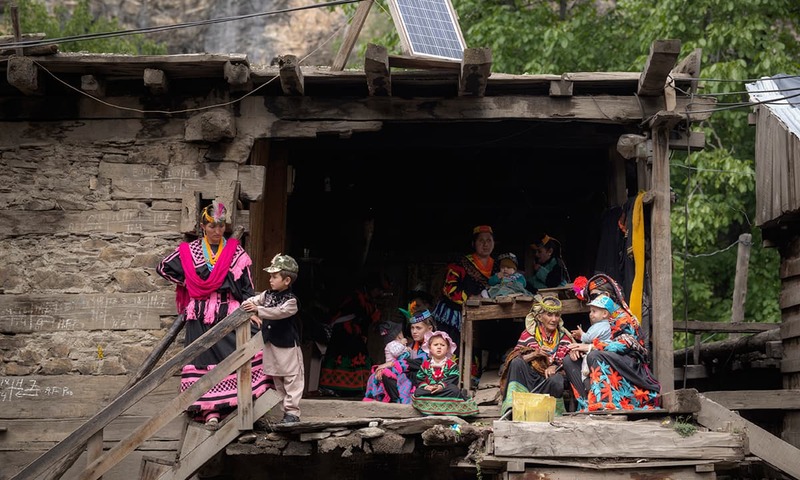 The provincial government has provided solar power panels to each boathouse to power a couple of lights, a fan and, in some cases, a television set that receives signals through a dish antenna. Many families have migratory Siberian birds as their pets. Perched on small wooden boards that float on the lake, these birds are usually tied to the boathouses. 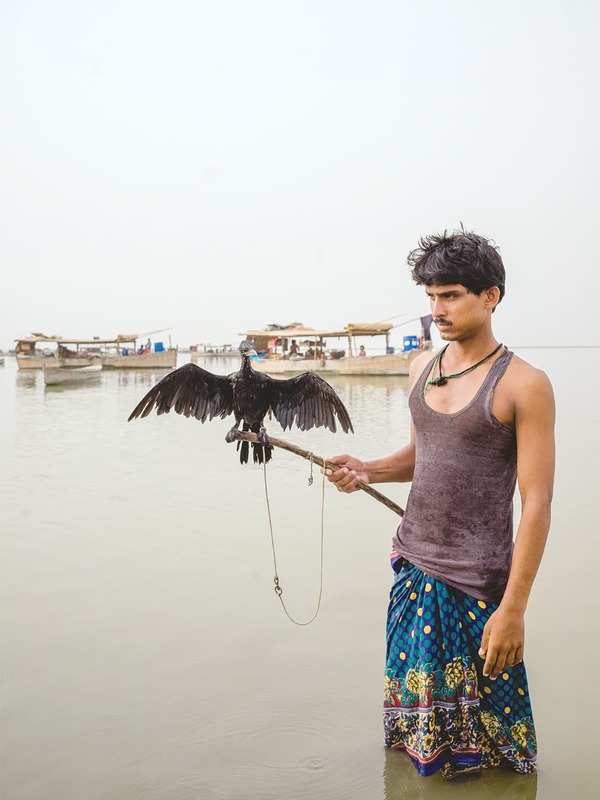 Atta Muhammad lives in one of the boathouses with his extended family. Dressed in a crisp white shalwar kameez with his black hair slicked backwards, he has the air of someone with authority. The residents of the boathouses use the lake’s water for all kinds of purposes — cooking, washing and bathing. 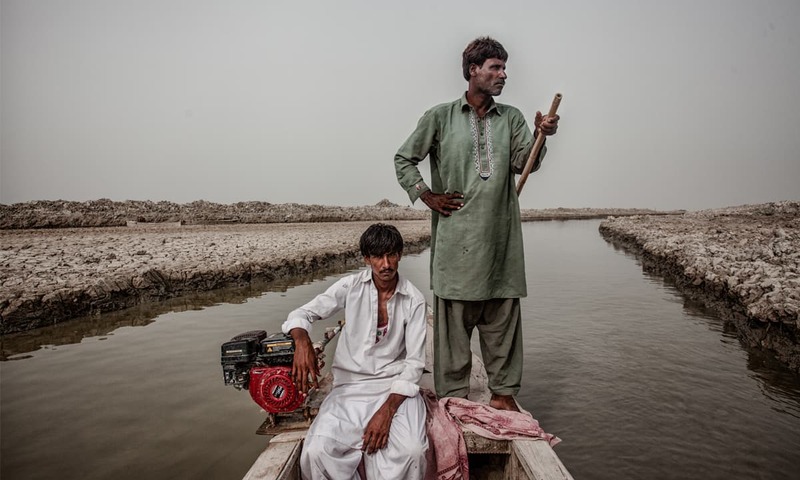 They bring drinking water in large plastic cans from villages on the shore where the government has installed reverse osmosis filtration plants – including one at Goth Haji Khair Din Mallah – after the 2010 floods. When their water supply runs out, sometimes they also drink from the lake. Muhammad married his wife, Rukhsana, back in 1986, when the lake’s water sparkled and fish abounded in it. “There was a time I could make 5,000 [rupees] per day,” he says. Now the water’s colour is metallic brown, mixed with corrosive salts that cause a lot of damage to boathouses, and poisonous chemicals that do not allow fish to grow. As Rukhsana prepares a meal in the kitchen, Muhammad explains how these problems have forced hundreds of families of his community to shift outside the lake. About 14 years ago, he says, there were around 2,000 boathouses in the lake. Now there are only 50 or so left, he says. One day, even these will be gone. Mohanas, however, do not have the resources to move. So, they will still stay. As long as there is water in Manchar Lake. As long as there are fish in that water. It does not matter if the lake is drying and the fish in its depleting water are growing on poisonous chemicals. The writer was a staffer at the Herald. Why there are no trees around this lake? One hope Sindh government will take the notice of it. Does Pakistan have a Saline Water Resistant variety of fast growing Eucalyptus Tree? If not then can our Agricultural Universities produce one? So it can be planted with Mangrove all along the sea belt of Pakistan. Note: Pakistan Coastline is about 1,050 km (650 mi), 250 km falling in Sindh and 800 km in Balochistan. Does anybody care in Sindh?. They still vote for PPP. I think if the nationalist take up this issue and convert this lake by diverting polluted water from this lake they will be remembered by generations of Sindhis . So sad to hear that, such a big lake which used to provide live hoods to so many people and culture around it. Sindh government is a worst kind of government place can have. Hopefully some U.N. or nature conservative society can look into it and find the solution for the lake by cleaning and make it useful. Otherwise thousands of years heritage will be lost because of incompetence, corrupt and heartless people of ppp government.